Panettone is THE typical Italian sweet bread served over the holiday period. If you don't buy it yourself, you'll be sure to receive one as a gift around Christmas time. Following is a scrumptious American adaptation of how to serve Panettone in an unconventional way. Not sure my mother-in-law would approve but it is a delicious way to "revive" stale panettone. 1.) In a dish big enough to place half the panettone pieces whisk the eggs together with the mascarpone and milk until mascarpone is smooth. 2.) Dunk four of the panettone slices in the egg mixture and leave to soak for 1 minute. 3.) Put 25gr of butter and ½ teaspoon oil in a large frying pan, and set over a low heat to melt. 4.) Turn the panettone slices in the egg mixture, and soak the other side for another minute, by which time the bread should have soaked up enough to soften it and the butter should have melted in the pan. 5.) Turn up the heat, then add the soaked slices to the frying pan and cook for 1 minute each side, so that their egg-soaked surfaces are golden, and browned in part. Meanwhile, soak the remaining four slices in the egg mixture for their 1 minute a side. 6.) 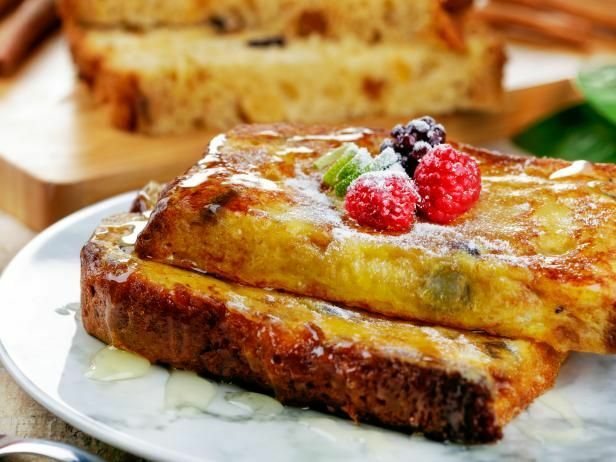 Remove the first batch of Panettone French Toast from the pan to a large plate, add the remaining butter and oil to the pan, and cook the second batch as you did the first. 7.) When all the pieces are cooked and on the platter dust thickly with the icing sugar pressed through a tea strainer, letting the “snow” fall on the golden sweet-bread slices. 8.) Optional, scatter with fruit and add a dollop of whipped cream. If you liked this recipe, click here to try my Panettone Bread Pudding.